Illustration of ships and instruments deployed in the North Pacific Ocean for a large collaborative project to study net primary production and carbon cycling in the upper ocean. The ocean plays an important role in global climate, absorbing approximately 25 percent of our annual carbon dioxide (CO2) emissions. Additionally, photosynthesizing organisms in the surface ocean consume carbon dioxide and a fraction of the biomass produced is eventually transported below the upper ocean mixed layer. The associated carbon can then be isolated from the atmosphere on timescales of months to centuries. This carbon export process—known as the biological carbon pump—is thought to account for about 70 percent of the increase in carbon concentration from the surface to ocean depth under steady state conditions. However, presently we are not in steady state conditions and lack a firm baseline for the magnitude of the biological carbon pump, with estimates ranging from four to more than 12 petagrams of carbon per year (for reference, annual global fossil fuel emissions and deforestation account for about 10 petagrams of carbon emitted to the atmosphere per year). This makes it challenging to predict how shifts in the biological pump resulting from climate change could influence future carbon dioxide uptake by the ocean. Thus, a central goal in oceanography is to better quantify and understand the biological pump. 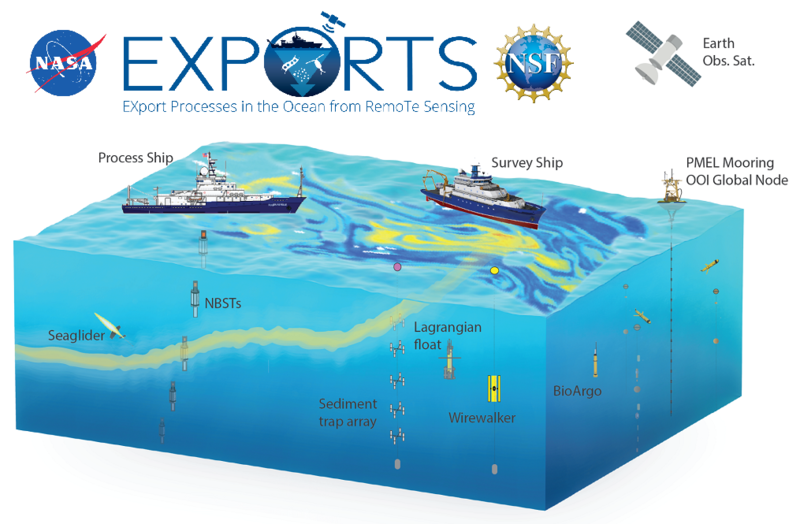 To assist in this endeavor, we will be testing a scalable, in situ method for quantifying the export of distinct biogenic carbon pools (carbon produced by living organisms) using biogeochemical profiling floats in the North Pacific Ocean. If successful, the use of this method at a global scale could resolve the biological pump on a timescale of about a week and improve the validation and training of satellite algorithms. This project is coordinated with the 2018 NASA EXPORTS campaign (Siegel et al., 2016) in the North Pacific Ocean. 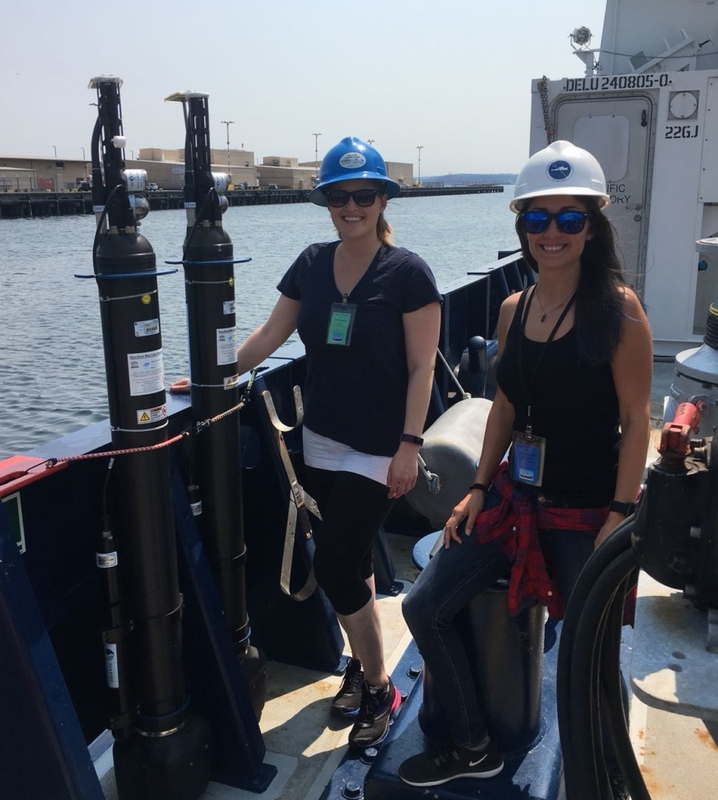 Andrea Fassbender (left) and technician Jacqueline Long with two SeaBird Navis BGC floats that were deployed during the August, 2018 NASA EXPORTS cruise.